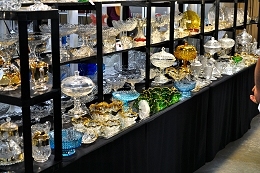 The Houston Glass Club will host its 45th annual “Vintage Glass & Antique Show and Sale” this August at the Fort Bend County Fairgrounds in Rosenberg, Texas. 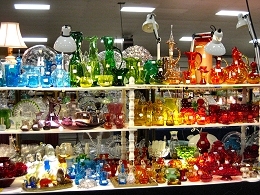 As in the past, the show will be home to thousands of wonderful vintage glassware and pottery. 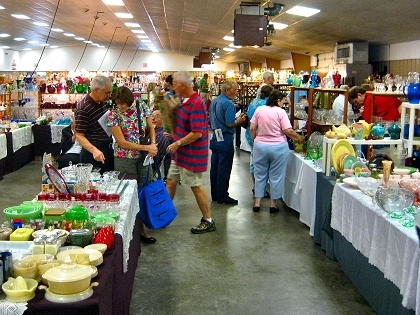 All show items are available for sale. Regular meetings are held the second Tuesday of each month at 7:00 pm in the Education Wing of the Gethsmane United Methodist Church at 6856 Bellaire Blvd, Houston, Texas. Guests are always welcome.